Oscar is having the worst holiday ever. So when his dad suggests the family go on a haunted tour of York, he jumps at the chance of doing something that doesn't involve trailing round gift shops. 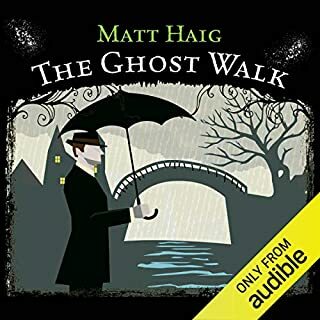 But the ghost walk turns out to have a haunting twist.... A terrifying ghost story that will chill your blood, from acclaimed author Matt Haig. Very disappointing. Obvious & not at all scary nor atmospheric. The children found it boring so we sent it back. 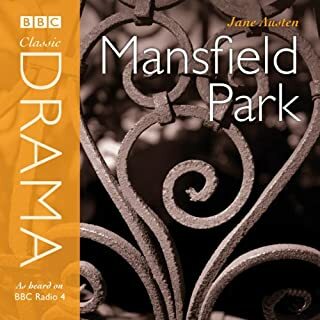 Here is a BBC Radio 4 dramatisation of Jane Austen's perceptive study of middle class morals and mores in the 19th century. The cast includes Hannah Gordon as the narrator, Amanda Root as Fanny Price, Jane Lapotaire as Mrs Norris, and Michael Williams as Sir Thomas Bertram. Very poor ending, cuts out Fanny’s jubilation of getting her man which this story is all about & what ‘we’ are all waiting for. However; apart from that huge hick up, this version is still one of my favourites & well worth a listen. Following the death of her husband, Kathryn Ellis becomes the new housekeeper at Hodder Hall, keen to embark on a bright new future...only, her past won’t let her go just yet, and the ghosts that stalk the village threaten to cut her future short. The story is none existent (if there is a story then it is so BORING you just do not care ) Such a big let down after the usual hype. 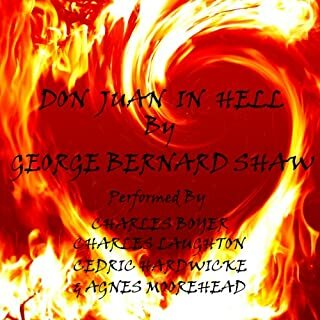 The play Don Juan in Hell originated as Act 3, Scene 2, of Man and Superman and is a spirited debate between Heaven and Hell. It was written by Irish playwright and a master of social commentary George Bernard Shaw (1856 – 1950), who is probably most famous for Pygmalion amongst his 60 plays. This famous performance features Charles Boyer as Don Juan, Charles Laughton as the Devil, Cedric Hardwicke as the Commander, and Agnes Moorehead as Doña Ana. I ❤️ Bernard Shaw. Was Custodian of & lived at his home for 8 wonderful years. This is a superb production. Charles Boyer is excellent & as are the rest of players. Well done! 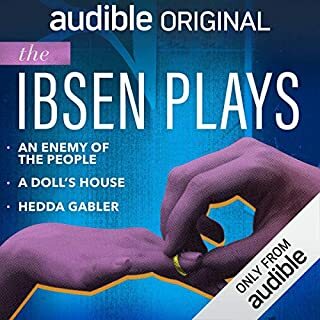 This collection of three of Henrik Ibsen's most well-known and important plays is voiced by a sparkling cast and features music, SFX and a full soundscape. Born in 1828, Norwegian playwright, theatre director and poet Ibsen, wrote in Danish yet lived for many years in Italy and Germany. Heralded as one the most distinguished dramatists after Shakespeare, by the early 20th century A Doll's House became the world's most performed play. These are good old fashioned stories written well over one hundred years ago about life set in a totally different environment & era with Ibsen delving into the psychology of the social structure of a society based on socialistic moral rules & codes of conduct for both men, women & the role of family. Having studied the Victorian era I can appreciate what the plays have to say, where today some may find the stories slightly old fashioned & unbelievable. These are excellently produced plays & well acted, though from a purely personal preference, actress Laura Charmicheal is not right for these types of performances & I would have preferred & actress from the older school of acting. Bill Nighy returns as Charles Paris: unsuccessful actor, bad husband, and dipsomaniac. Desperately in need of work, having been kicked out of his marital home, Charles jumps at playing a missing property developer in a crime-reconstruction program. But the missing person case soon turns to murder when severed body parts begin to appear. Bill Nighy is always on for a laugh. So when the credits have B N, you know you are in for some rollicking entertainment & in this episode of C Paris, he is on top cheeky slinky charismatic form. 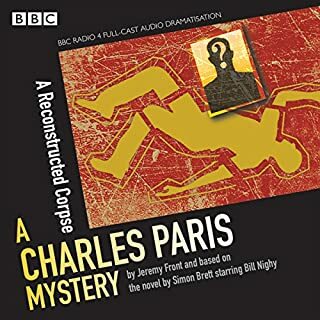 Another 10/10 to add to my Bill Nighy collection of murder, nagging neurotic divorcing wife & more Charles Paris intrigue. middle of the road garbage. Well acted by all. A triple bill of archive BBC radio dramas, believed lost for over half a century and only recently rediscovered. "Butter in a Lordly Dish", written specially for radio in 1948, features Richard Williams as Sir Luke Enderby KC, whose infidelities lead him into trouble when he goes to meet his latest flame. Williams also stars as Hercule Poirot in "Murder in the Mews", a 1955 adaptation of a short story. A young woman is found dead in her flat the day after Guy Fawkes night. Great to hear this triple bill of lost Christie plays written especially for radio in 1948. The actors of that era add to the feel of these fine productions as you “can feel the 40’s theme” and they come across like the great old black & white movies of that time. These short stories are slightly different from the usual norm of Christie which may not appeal to all, but I hope we find more for I can listen to Agatha Christie till the cows come home. June Whitfield returns as the deceptively mild spinster sleuth in three full-cast BBC Radio 4 dramatisations. Specially broadcast to mark the 125th anniversary of Agatha Christie's birth, these brand new dramas are based on three of her best short stories. Agatha Christies just does not know how to write a bad play. These final three plays although short at half an hour a piece, still pack the Agatha punch in the way only Christie knows how. 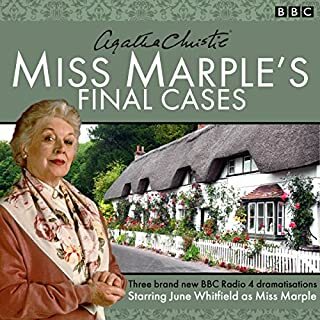 Credit to June Whitfield who’s voice you can now tell has reached true old age, still gives a good performance as the interfering old sleuth. 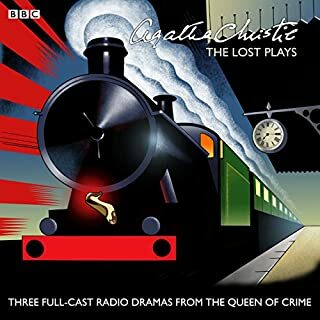 I cannot get enough of Agatha Christie and include every single full cast audio play available in my collection. These three are extra little treasures and I just hope we keep finding more plays, I will keep buying. Maggie and John had a passionate but disastrous affair in their younger days, but it didn't last. Now in their late 60s, a surprise encounter gives them another chance to take up where they left off. Will they manage to find the best in each other and finally get together? Or will old wounds and an awareness of their ageing bodies deter them? Will the treadmill created by the high-cost, high-pressure 21st century, and their endless other commitments and interruptions large and small, overwhelm them? Or will they take the final risk? 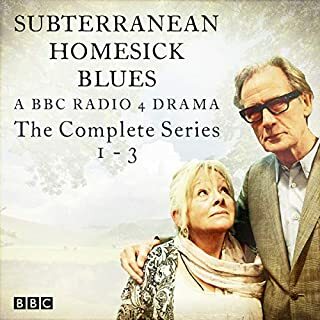 You know you are in for a laugh when you listen to Bill Nighy & this is no exception. Without being an online spoiler; Bill bumps into an old love 30 years after he dumped her over a romantic restaurant dinner & we follow the two old romantics on their 2nd journey. Anna-Calder gives a good performance & is perfect as the dumped partner giving as good as she gets as they both fill this little love gem with gags that will tickle you pink. 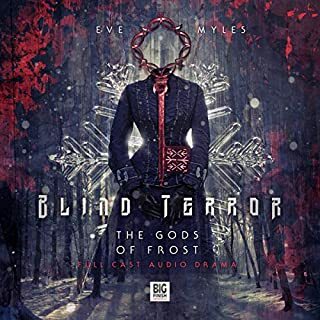 I would not normally choose this type of theme for an audiobook but Bill Nighy makes it. 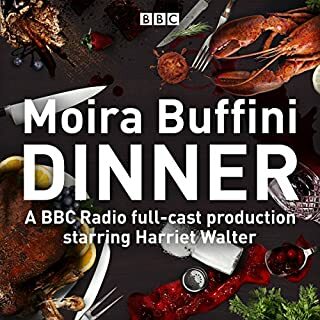 This is also on BBC Radio 4 at the moment & I am amazed that for a change, the BBC version is much more witty with more relaxed fun, but this is still worth a listen.